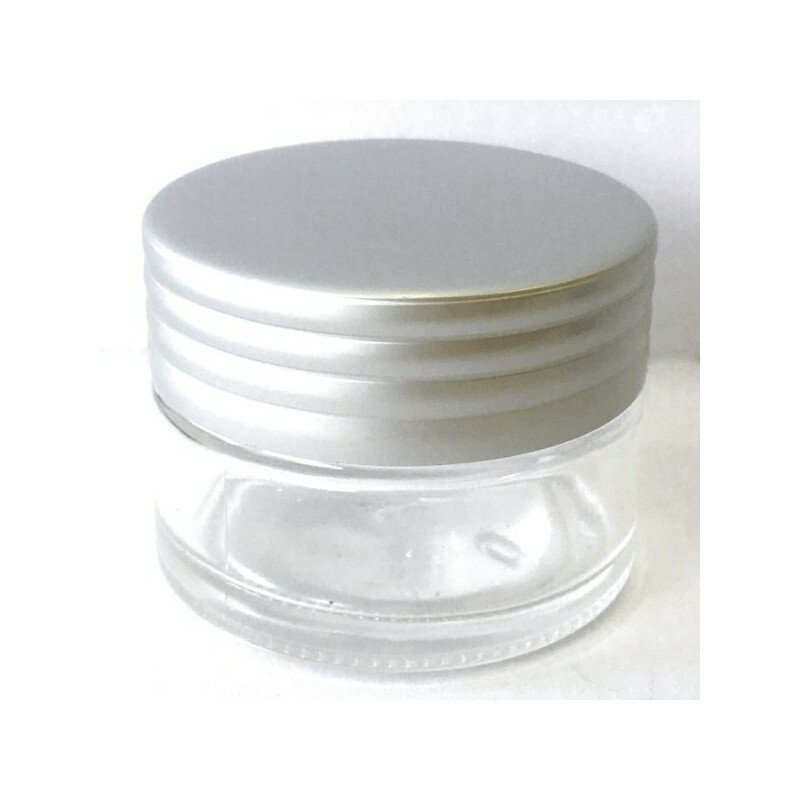 Clear glass with silver lid and tab seal. 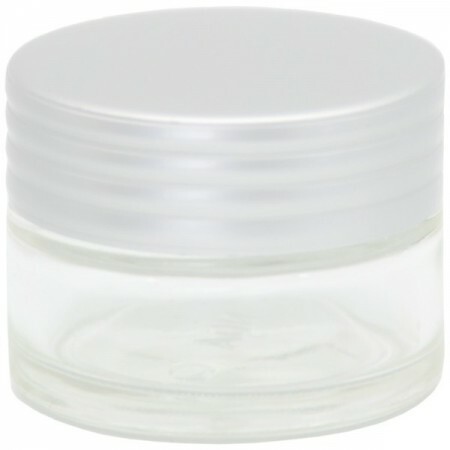 I use this for creams and lotions for travelling. The outer shell of the lid fell off and I was too lazy to glue it back, but the jar works fine without. It's the perfect size for all my cosmetics when I want to travel. 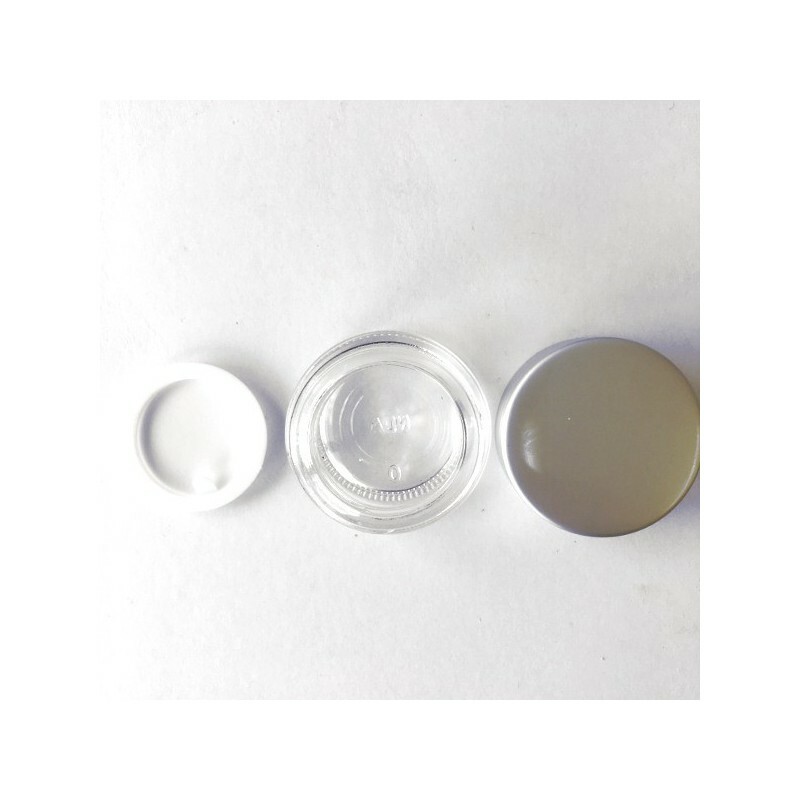 The glass is very robust and holds up well even if banged or dropped at small heights. What I love most is the aluminium lid as it doesn't crack like plastic if twisted too hard. Of course it's heavier than plastic or silicone alternatives but I prefer the hardiness of this jar. I don't like the idea that I get my whole bottle of sunscreen heated in hot weather. 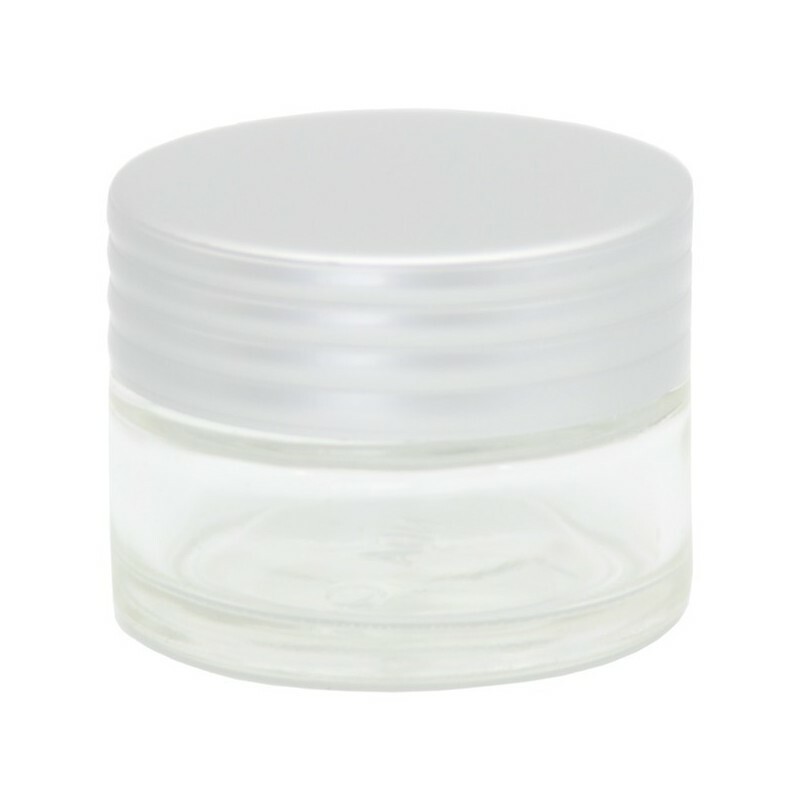 So I use this little jar to put some of my sunscreen and it is lighter for me to carry my backpack.